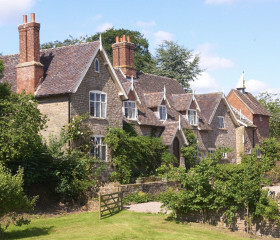 Handed down through time, Godolphin Hall awaits your own family’s generations. 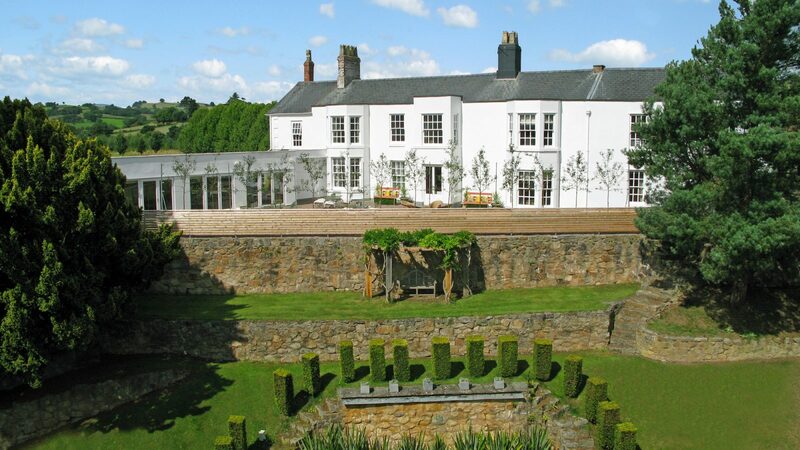 Unwind in 15 acres of mid-Wales greenery, in the gym, the spa, or the hot tub. 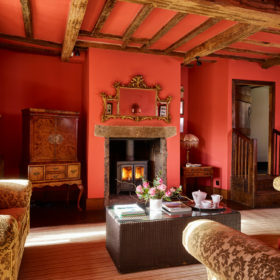 Make the elegant lounges your home, with their flicks on the TV and flickering fires. 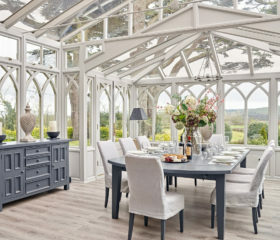 Dine together in the wedding-style terrace room. Welcome home. 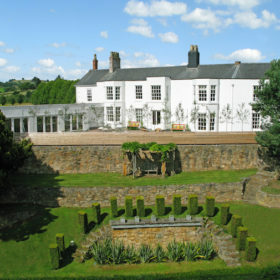 Play the generation game at Godolphin Hall, with warm and welcoming space for 28 family and friends. 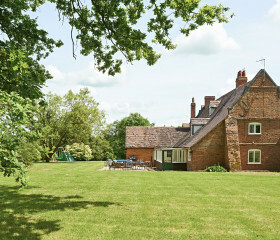 This is a family home, handed down through time, restored and enhanced. Now it’s yours. Unwind in 15 acres of mid-Wales greenery, in the well-equipped gym, in the stunning on-site spa, or in the bubbling hot tub. The red-cedar spa’s a new addition, provided just for you. 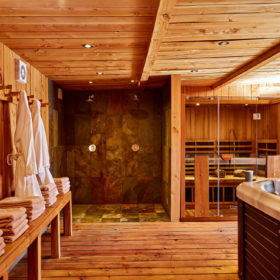 Complete with changing room and slate showers, it invites you to steam away your cares in the radiant heat of the sauna and boost your circulation in the ten-person hydro tub. Complete your sense of wellness with a full cardio and resistance workout in the huge gym. 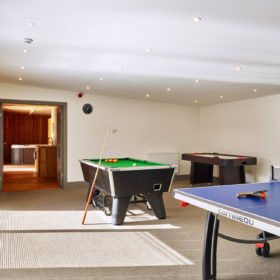 You can make the downtime all the more delicious in the games room, part of the spa and crammed with competitive fun, in the shape of air hockey, table-tennis and pool. 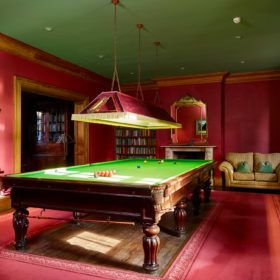 Elsewhere, there are tennis balls to thwack on the all-weather court, snooker to be played on the full-size table and songs to be sung around the baby grand. 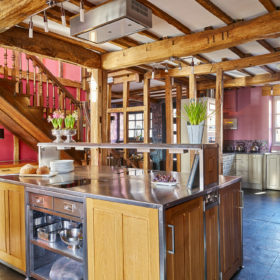 Tailor your stay, with your foodie fanatics cooking on the three ovens, or let our chef take over. 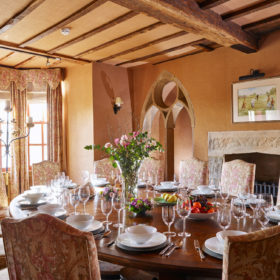 Dine in style in the intimate timber-framed dining room or get everyone together in the wedding-style large terrace room. 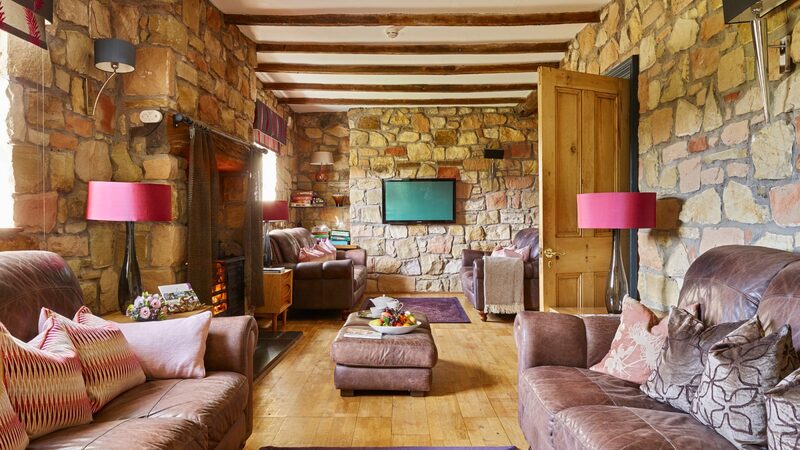 Relax in elegant lounges, home of leather sofas, flicks on the TV and flickering fires. Welcome home. Greenery is plentiful here. It all begins before you even arrive, wending your way through the Welsh border country that looks like a giant golf course sculpted by a higher power. 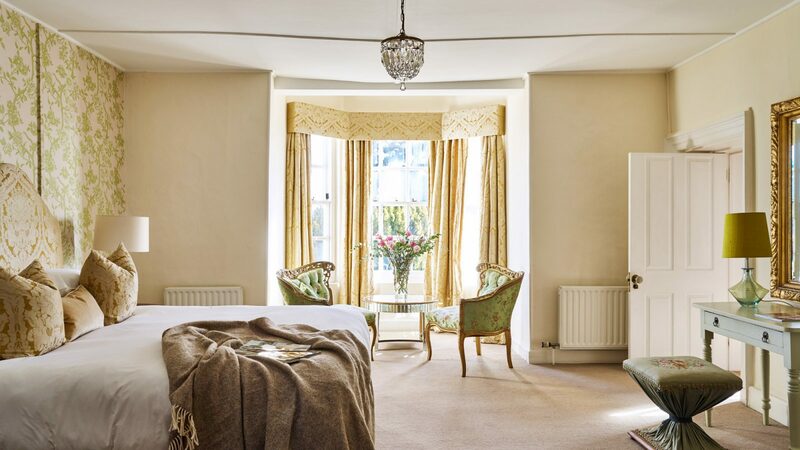 But the idyll’s only just begun, as you explore the 15 acres of rolling greenery that harbours a full-scale spa and the rushing waters of the River Tanat. Make the most of it. 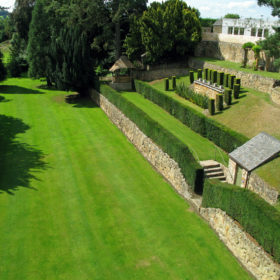 In high summer, with the hall awash with wisteria, hire the Weber barbecue and dine out on the terrace amid the landscaping and the laburnum tunnels. 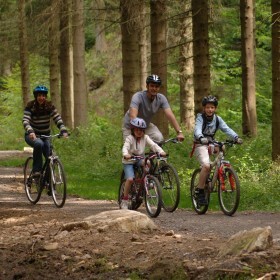 Fish the river, walk the woodlands with their 2500 semi-mature and specimen trees, play a little croquet on the lawns. 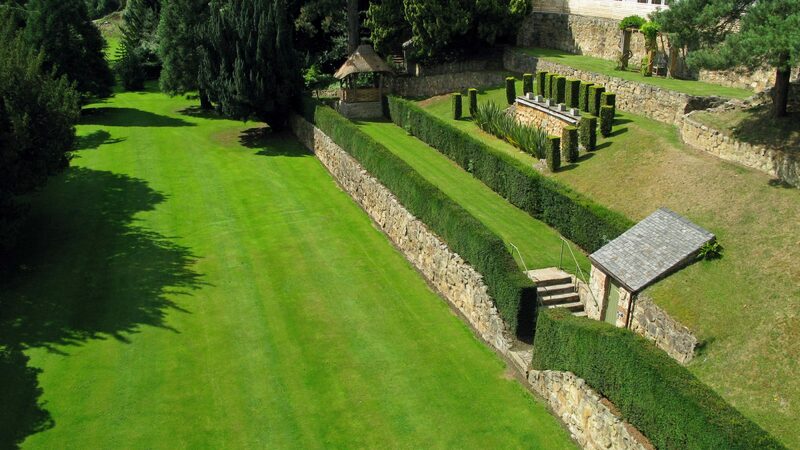 Out there among the verdant pastures, there’s tennis to be played on the all-weather court and senses to be indulged in the hydro tub and sauna within the well-appointed spa. Picnic by the river, take a tipple on the terrace, pretend you never have to leave. Detox in the radiant heat from the full-spectrum infrared sauna, amp up the wellbeing in the hydrotherapy tub and work your whole body in the gym. Relax, this is your home. 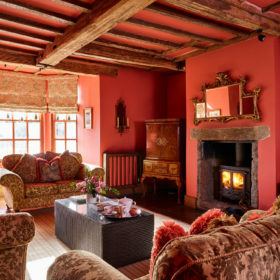 Spread out, put your feet up, revel in the warmth of the open fire with free logs. Fire up some family flicks on the 50-inch Sky TV or DVD player, tap into the free wifi, sink into the many sofas. This is the home with the feel of a hotel, with guests you’ve personally invited yourself. Behind the sitting room, snooker balls wait to be potted. Pour a stiff drink and knock a few down before dinner. Bash out a tune on the Bechstein baby grand. 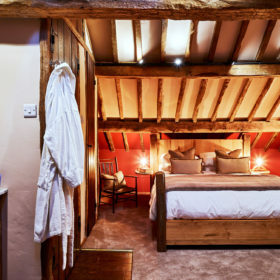 Enjoy the wooden beams, exposed stone and roaring fires, with room to escape to the second lounge for a little me-time. Head to the games room to sample the toys. Wind yourself up in the games room, with pool table, air hockey and table-tennis, then wind down in the spa in its tranquil natural setting. 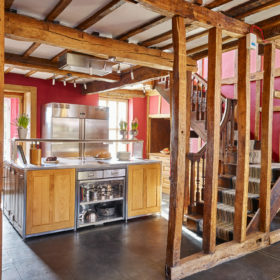 The kitchen’s spectacular in all its gleaming glory, with two two-ring induction hobs, one four-ring induction hob, three ovens and two dishwashers, but you might prefer to take it easy. Practise a little sofology as our chefs stir and simmer their way to a fine-dining evening meal, a relaxed supper, a buffet or simply a drop-off meal or two. 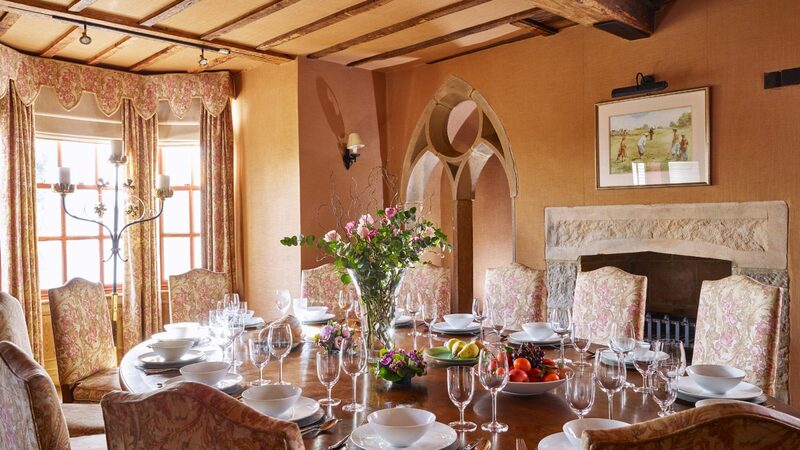 Dine around the cosy oval table for up to 14 or get everyone together in the terrace room, scene of many a wedding. For dining al fresco, a small charge for gas gets you summertime use of the Weber barbecue on the terrace amid landscaped grounds. Family-friendly pub meals get no better than The Station Grill at Llansantffraid, where slow-braised Welsh brisket of beef and grilled sea trout sit happily by homemade crispy-chicken bites. 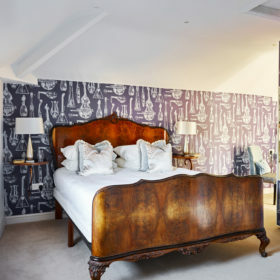 At The Townhouse in Oswestry, fresh seasonal fare includes beef hash, Bombay cod, and steaks with triple-cooked chips. 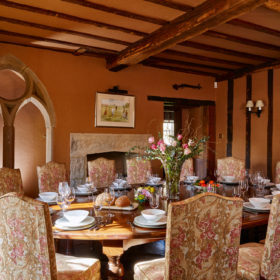 Go the whole hog and try the glittering taste of a Michelin star at Tyddyn Llan, teaming ‘classical techniques with patriotic Welsh flourishes’. Grab a mouth-watering dopiaza or dansak takeaway from The Simla Tandoori. Or top up the fridge with fresh fare from Llynclys Hall Farm Shop and Momentum Wines in Oswestry. Be prepared to sleep like Rip van Winkle, although you might expect a big bill if you do. Here in the rural idyll of Welsh border country, beneath a yawning sky, a grand night’s sleep is pretty much a given. Open your window a little and let the pure air tickle your senses and sharpen your dreams. 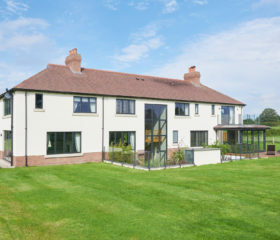 Among the 14 bedrooms are contemporary, traditional and surprising designs. Wrap up in fluffy bathrobes and sumptuous towels and feel a million dollars with Aromatherapy Associate goodies. 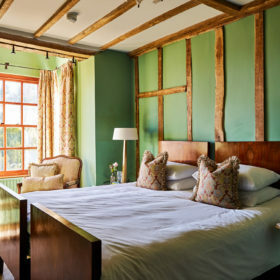 Drift off in 400-count sateen Egyptian cotton linen with downfeel hypoallergenic hollow-fibre duvets on pocket-sprung mattresses. Bedroom one is a double with shared bathroom, while bedroom two is a zip-link twin or superking. 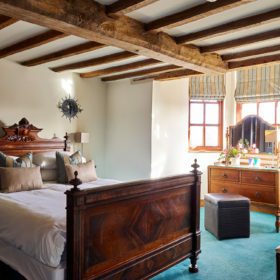 Bedroom three offers twin singles, while four and five are en-suite kingsizes. Bedroom six and seven are zip-and-link or superkings with a rolltop-bath bathroom across the hallway from six, and seven having an en-suite. Bedroom eight is a kingsize with private bathroom across the hall, and nine is an en-suite king. Also en-suite, bedroom ten offers twin singles, while 11 has the same with a wet room shared with 12, a zip-link superking. ‘Cello’ is a superking sharing a bathroom with ‘Oboe’, offering twin singles. 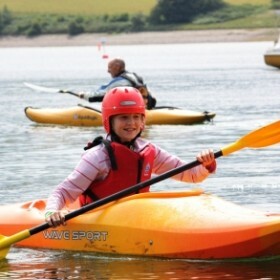 Kids can explore the river by kayak, ride the valley on the Llangollen Railway, or meet ducks and skunks at Greenacres. 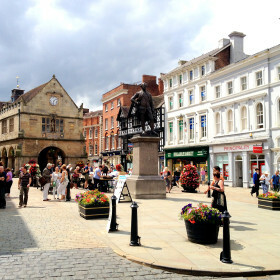 Grown-ups can stay home for the spa and gym or head out to walk the border country, chase history at Powys Castle and Shrewsbury Abbey or sample stylish shopping at Cheshire Oaks.